The sunny days of spring and summer are finally here and that means outdoor fun, backyard parties, alfresco dining and weekend BBQs. In our excitement for the sweet summer days ahead we have rounded the most gorgeous outdoor living spaces to inspire you to transform your own front, back or side yard into a space that is perfect for entertaining guests and a relaxing oasis for your family on lazy summer days whether you have a sprawling backyard or an enclosed patio in the city. 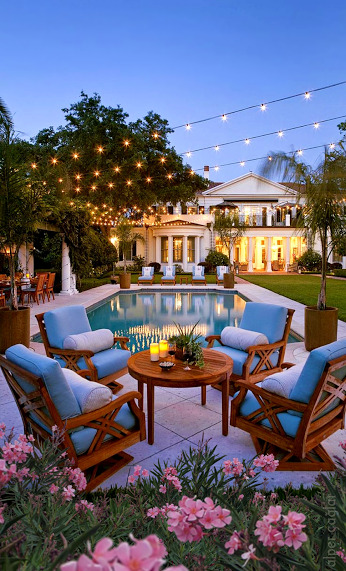 Outdoor Living Tip 1: Create a relaxing ambiance by add over head lights. 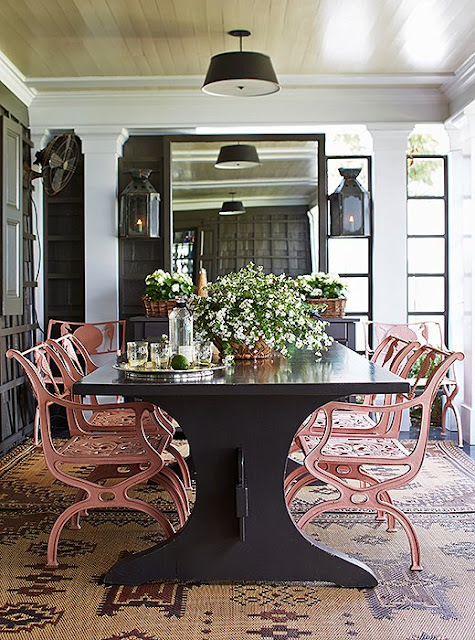 Outdoor Living Tip 2: Create intimacy by adding a round small round bistro table that seats only two to four people. This is also the perfect setting for a romantic dinner. 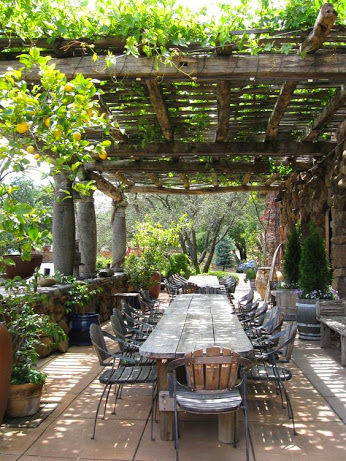 Outdoor Living Tip 3: Vine covered Gazebos are the things of dreams as they set the scene and transport you to the Italian country side and grape vineyards of Tuscany. Every backyard should have one of these. Outdoor Living Tip 4: A covered patio is the best space to re-create the elegant look and feel of an indoor dining space but outdoors! Think beautiful outdoor rugs, buffet and even a mirror will all create that elegant feel that your family as well as guests will love. 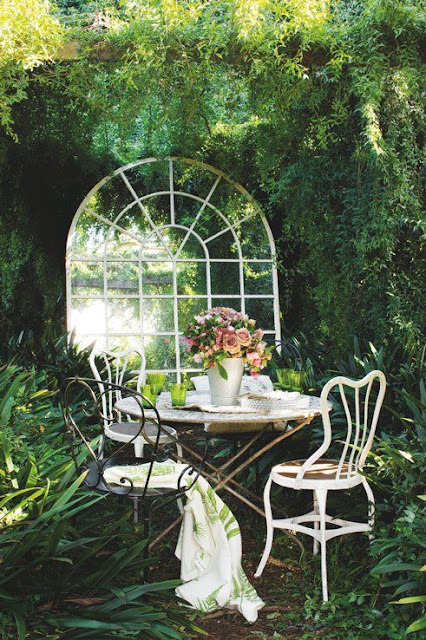 when dining alfresco. 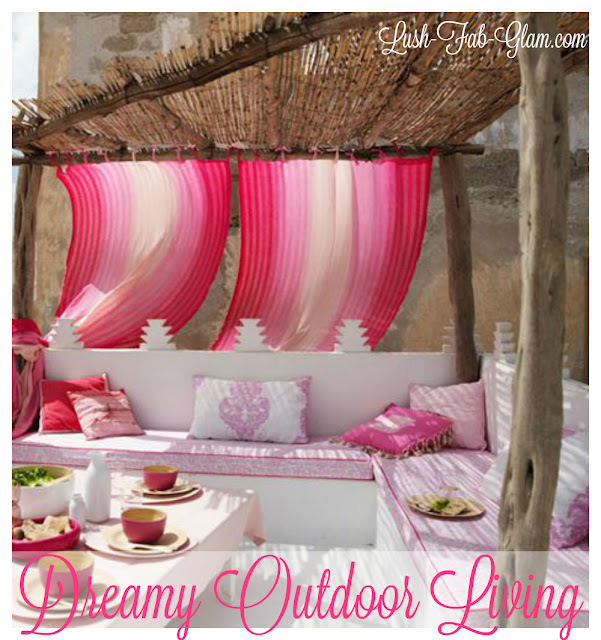 Outdoor Living Tip 5: Don't reserve the glam factor for only your indoor rooms. Fabulous vintage chandelier or modern industrial chandeliers are great conversation starters in your outdoor space too. 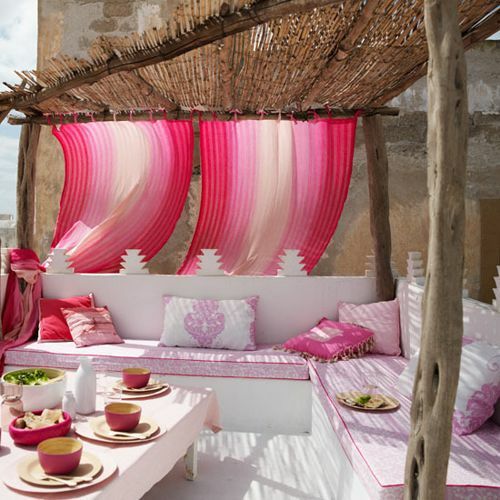 Outdoor Living Tip 6: For enclosed patio like the rooftop, where garden plants are sparse add color all year round with beautiful outdoor cushions, outdoor curtains for shade and with your outdoor dishware. 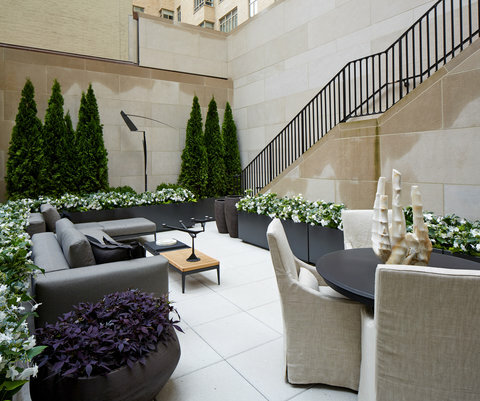 Outdoor Living Tip 7: In enclosed outdoor spaces, potted plants make all the difference between feeling caved in and having a lush oasis in the concrete jungle. 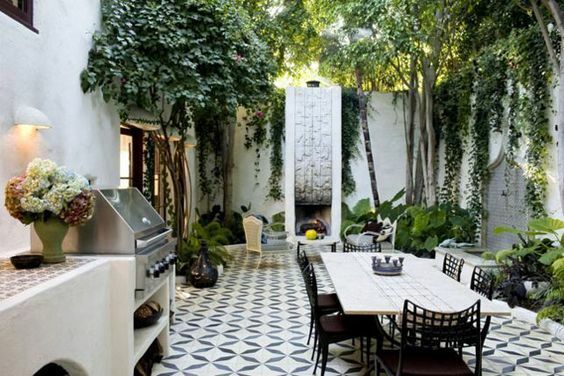 Outdoor Living Tip 8: Take your outdoor space design aesthetic to new heights by skipping the traditional wood and stone decks for a rich exterior floor tiles like the Moroccan inspired look featured above. Which featured outdoor space do you love and which outdoor living tips will you incorporate in your own space? Share with us by leaving a comment below.